Allergy Advice: Contains Wheat, Egg, Milk. Ingredients: Wheat, Sugar, Palm Oil, Malt Syrup, Egg (6%), Whole Cream Milk Powder (2.1%), Salt, Flavouring (Lactic Acid), Seasoning. 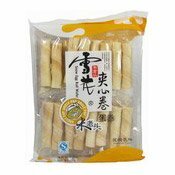 Simply enter your details below and we will send you an e-mail when “Snow Egg Roll Wafer (Yoghurt Filling) (米老頭蛋卷 (乳酸味))” is back in stock!